Earn $15.37 in VIP credit (1537 points)What's This? 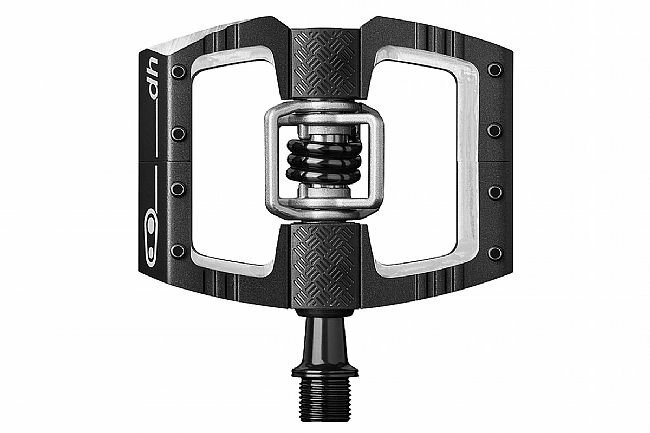 The Crank Brothers Mallet DH Race Pedal features a large platform design optimized for downhill mountain bike racing. Though it's meant for downhill shredding, a wide variety of mountain bike riders will love the large, stable platform, which is easy to find with a blind foot and provides a little extra security and a less wobbly contact point for your foot. Lightweight extruded/machined aluminum platform. Wings of investment cast steel; spindle of forged Chromoly steel. 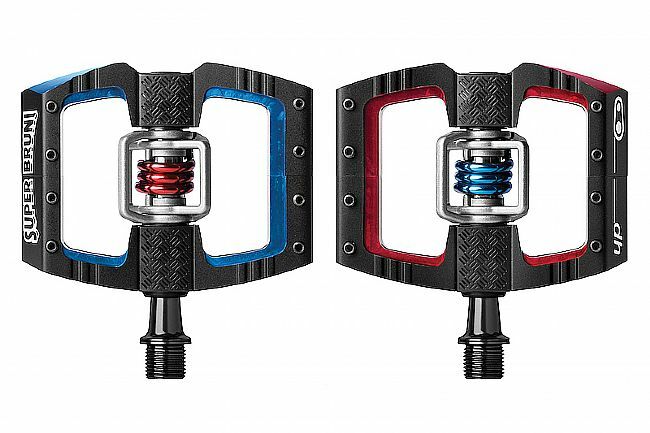 Crank Brothers pedals provide 15-20 degrees of float. Premium brass cleats are included. Red. 479 grams per pair. Bought these.. on the first day they broke. The new model has a seem right in the middle of the pedal where they glued to the metal together. A simple rock strike on that edge bent the entire frame of pedal and as a result the pedal would not rotate. The old mallets do not have this seem in the middle. After sucking wind up too many hills, I decided to put aside any irrational thoughts about why anyone in the world would want to attach their feet to their pedals while flying downhill through the woods. Boy was I happy with the results. I installed them myself with a wrench after watching a YouTube video. I feel so much more momentum when transitioning uphill as well as general stability and have only had a few silly mishaps with falling. Pedals are sharp, so be thoughtful about your vehicles interior while transporting. Great pedal. I'm not a downhiller. I'm using them for fat biking in the winter and this crank bros. pedal dovetails nicely with my other models on my other bikes so I can use bike shoes or bike boots depending on the race or conditions. Easy to click into and when snow gets packed in my cleat the platform is a good fall back (and also serves as a scraper to clear the cleats) Purchased when they were on sale. I've been using crank brothers pedals for a long time. These are the best I've used thus far. Great actuation and grip!